Nelson Piquet's ended a wait of more than a year as he swept to victory in the French Grand Prix, claiming Pirelli's first win since Stirling Moss in a Vanwall at Monza in 1957. For Brabham, it would be its last victory in F1. With Michele Alboreto's early retirement and Elio de Angelis only managing to finish fifth, Alain Prost, who came third, moved joint-second in the drivers' championship. 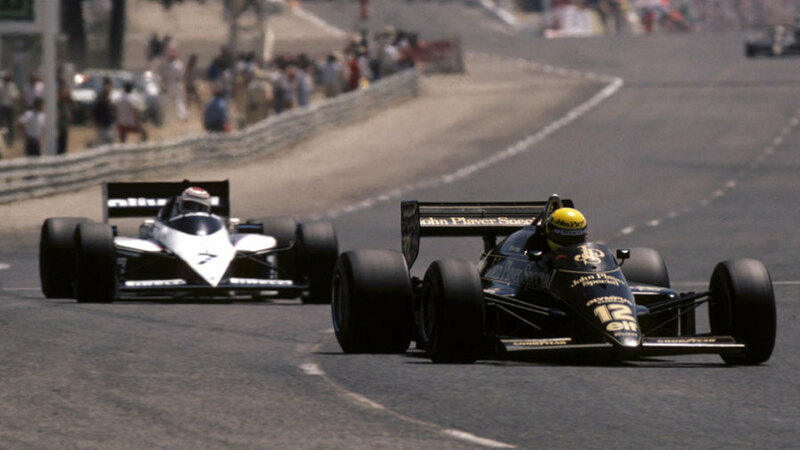 The Lotus stranglehold on qualifying - it had managed six successive pole positions - was ended by Keke Rosberg in his Williams but Ayrton Senna's Lotus was still in second ahead of championship leader Alboreto in his Ferrari. Changes to the front suspension made McLaren more competitive pre-race than it had been. However, Nigel Mansell missed the grand prix after sustaining concussion during a practice-session crash. Piquet's success was not without a scare, though, as he pitted after the first warm-up lap complaining of gear selection problems and he was swiftly transferred to the spare car and ran third in the early laps behind Senna and Rosberg. Within five laps Alboreto had retired with a blown engine. Piquet caught and passed Rosberg for second and then inherited the lead once Senna pitted for a sticking third gear. That left Piquet up front from Rosberg who then was caught by the McLaren of Prost. That prompted Rosberg to pit for fresh rubber and although he lost chunks of time he was now the fastest man on the circuit. He stormed back into contention and was helped yet further by Prost's McLaren dying at low revs. That meant Prost had to keep blipping the throttle when braking and the car became increasingly difficult to drive. "I thought it might still be worth trying to catch Alain in the remaining laps even though it was a lot of time to make up," Rosberg said. His decision was vindicated when he passed the ailing McLaren on the last lap. Prost held on for third and Stefan Johansson took de Angelis for fourth on the last lap as the Lotus lost boost pressure. "I couldn't do a thing about it," said de Angelis. "The car just went slower and slower towards the end." Senna's day ended when his engine blew at the end of the long Mistral Straight; oil from his own engine spurted onto his tyres and he spun at high speed, careering into catch fencing backwards. He suffered nothing more than bruising.